Do you not have a car because you think the standard production model would not be suitable? Do you not have adaptations because you think they would be expensive? Many adaptations are available at nil or a reduced price paid for by Motability! Please ask our Motability specialists for more details. Have problems getting in or out? Find it difficult lifting a wheelchair/scooter in or out? 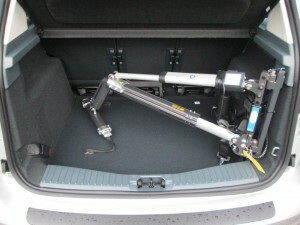 Find the steering too heavy or the car difficult to manoeuvre? Find the controls difficult to operate? Find you are unable to confidently use your feet to operate the brake, clutch or accelerator? Find the pedals are not in the most suitable position? Find the handbrake difficult to release? If you do you are not alone! These are some of the most common problems our Motability customers experience. Here at Busseys we are able to offer solutions to these and other problems. 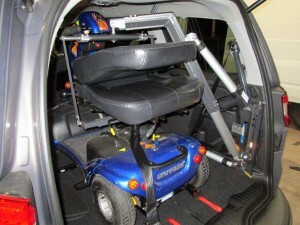 We have a vast experience of Motability and related issues, such as, the wide range of adaptations available. Commonly ordered adaptations are available with part funding from Motability, providing they are ordered with the vehicle. Offering savings of up to £500. Grants are also available for more complex adaptions to qualifying customers. Please contact Motability directly on 0300 4564566. Information correct as at 14/11/17.